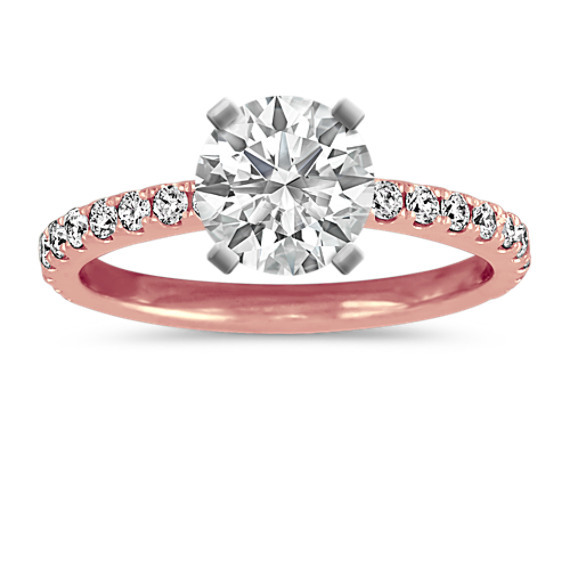 Pave-Set Diamond Engagement Ring in 14k Rose Gold | Shane Co. This elegant engagement ring design features brilliant, hand-matched diamonds lining the top and head of the ring. Fifty-two round diamonds in all, at approximately .46 carat total weight, cover the classic ring in exquisite sparkle. The quality 14 karat rose gold 2mm setting pulls the look together. Simply add a center diamond in the shape and size of your choice. Gemstone Carat Weight :.46 ct. t.w.